Cannondale has completely reinvented its 29in wheel Habit trail bike – from the ‘not quite a race bike, not quite a trail bike’ Habit model of old and come out with a bike that is very similar in silhouette to many of its rivals, but with enough Cannondale DNA to keep long time fans happy. 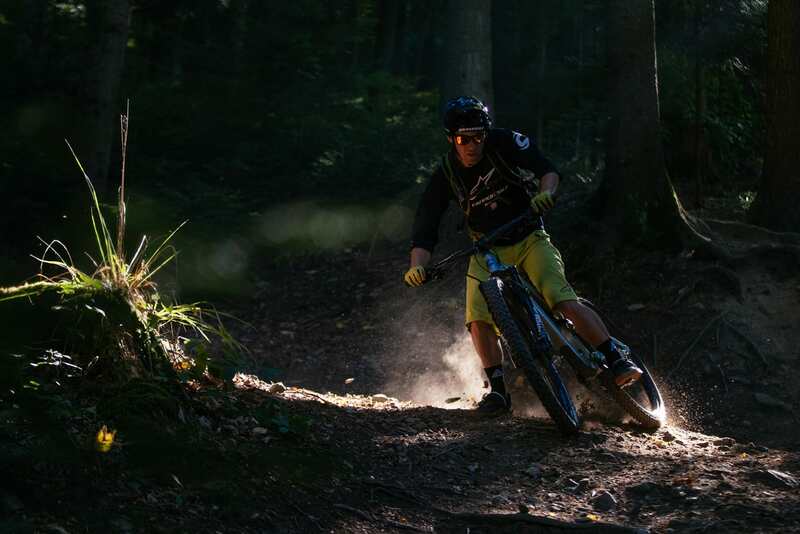 And this time, the Habit is squarely aimed at the all-round 29er trail bike market. When working on the new Habit, the design team started with a clean slate. First, they bought a load of their competitors’ bikes and decided what they did and didn’t like about each model. One thing that did surprise them was that the same model of bike could get wildly different opinions from testers depending on what size bike was tested. A frame that a 6ft 4in burly bloke tester loved, might get an average review from a smaller, slighter tester. 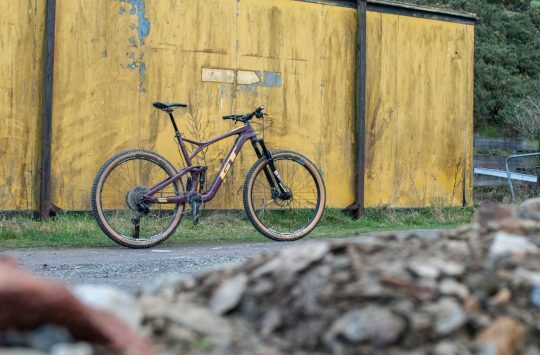 This led Cannondale to surmise that some suspension systems worked better in a particular size – often depending on what size was used to develop that particular frame. 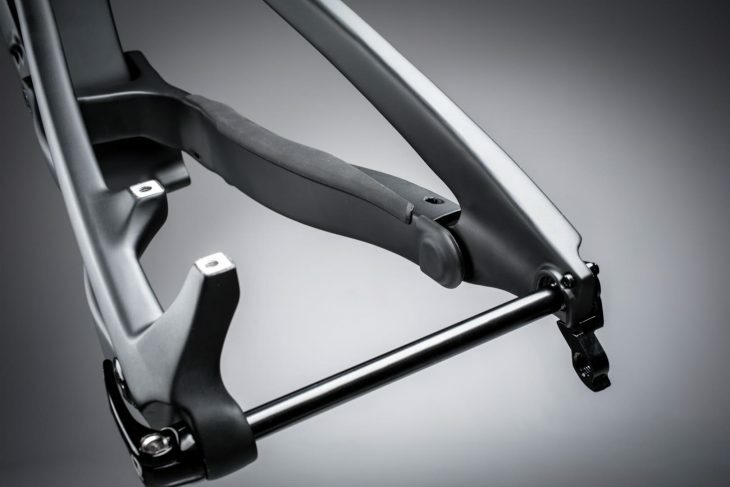 The development frame was then sized up and down to make the other sizes – usually keeping the successful suspension proportions the same for each size. 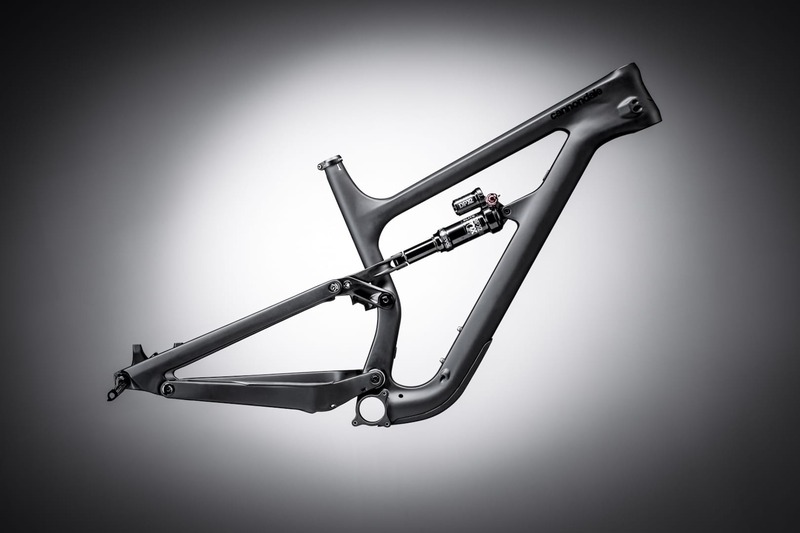 So, the design team, which includes Luis Arraiz, the suspension brains behind K9 bikes and, more recently the GT Fury, Force and Sensor, set about creating what they dub ‘Proportional Response’ which is a way of making the suspension components match the proportions of the frame and rider. So a larger frame (and rider) will get longer shock yokes than a smaller rider. 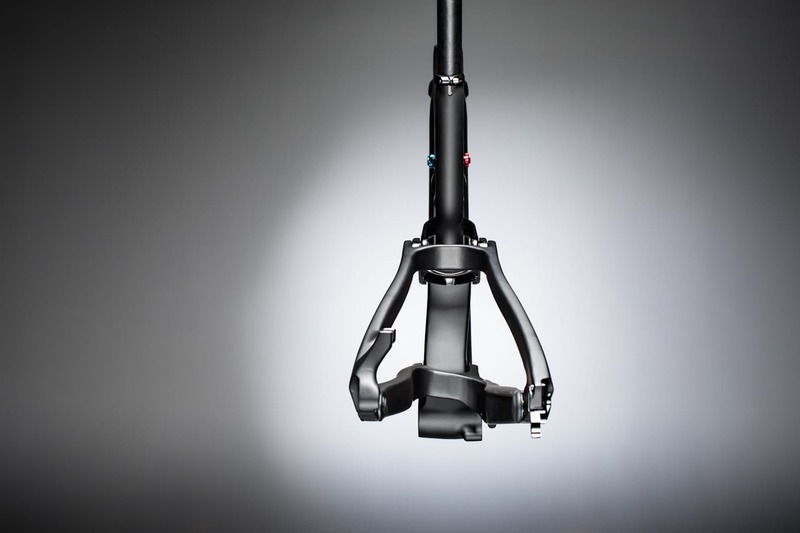 This helps the suspension perform better for different sizes and helps balance those wildly differing centres of gravity. The Habit goes Horst Link because – well, why not? The patent has expired. And even though Luis was behind the recent GT Force and Sensor bikes, he reckons that he designed the Habit to feel and ride differently to those bikes, especially the Sensor, which also features 130mm of travel. The Habit features a lower BB height to aid stability and the feeling of being ‘in’ the bike. Looking at the geometry, the figures are reasonably normal for a modern trail 29er. The head angle is slack, but not dramatically so and the seat angle is steepened, but not to the triathlon-style levels of some longer travel bikes. 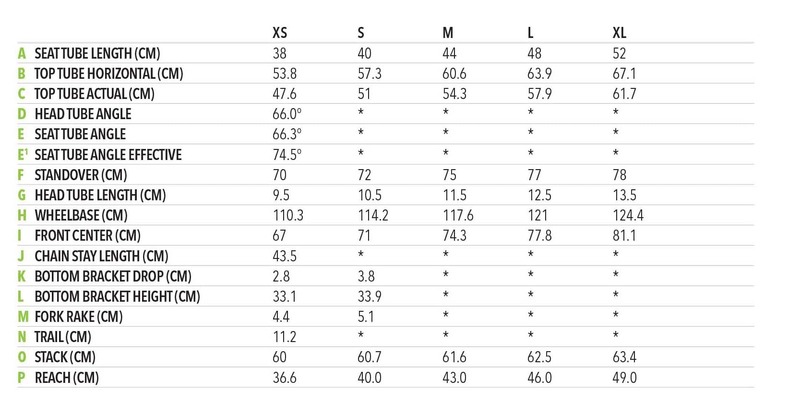 Reach again, at 430mm for a medium is decent though not as rangey as some of Cannondale’s peers. The frame will come with a number of specs and options. 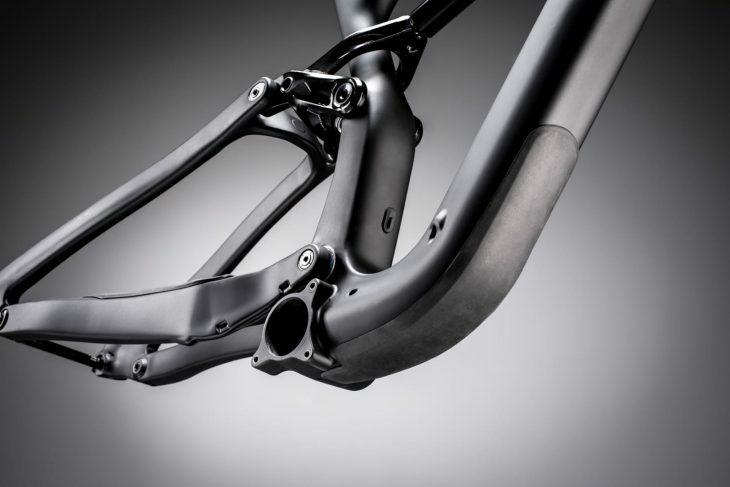 The top-end bikes will be full carbon front and back, with the models below being carbon front end and alloy rear and finally a full alloy model. The carbon models feature full tube-in-tube internal cable routing for simplicity and downtube protectors. There are even ISCG mounts for the radical. 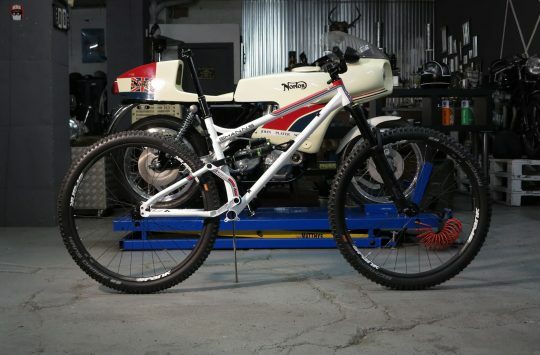 Unsurprisingly, there’s no provision for a front mech. 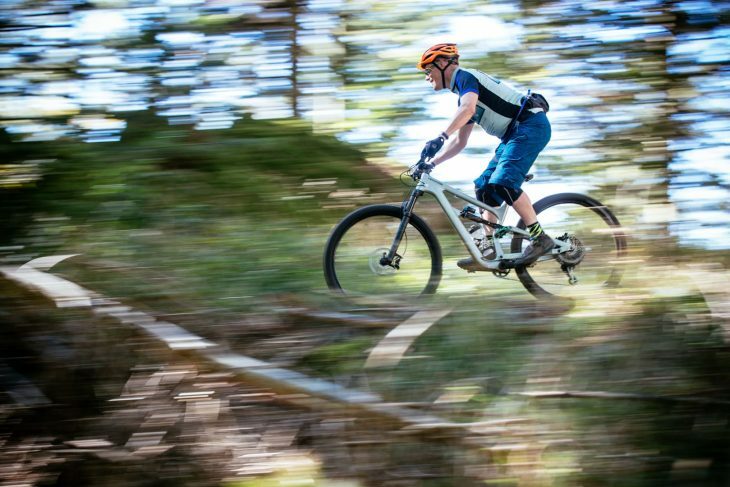 One very signature Cannondale move is the adoption of an AI rear end. This was first seen on the Cannondale FSi hardtail frame and is a way of offsetting the rear end of a bike to allow greater tyre clearance with shorter chainstays. With Boost (and now Super Boost) rear ends, the drivetrain is moved further out towards the drive side, but the non-drive side is also moved outboard. 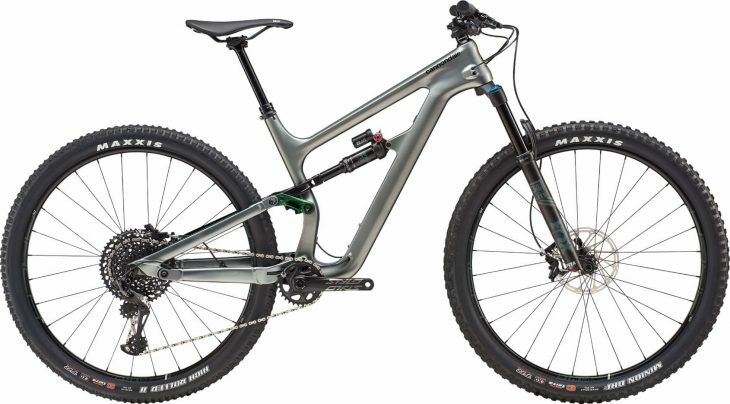 With Cannondale’s AI system, the drivetrain is moved 6mm out to the drive side, but the non-drive-side moves towards the drive side too. While this moves the (148mm) hub over in the frame, the wheel is dished to accommodate it – resulting in a near-even dish of the rim between the hub flanges. The chainring, meanwhile is spaced out by 6mm and ‘Super Boost’ levels of clearance are achieved without needing super-wide hubs that might result in heel-rub at the chainstays. Everything moves 6mm towards the rear mech, leaving an evenly dished wheel. As you might imagine, the new Habit will come in spec from full-new-XTR down to more modestly appointed models. There are also two women’s specific models too. 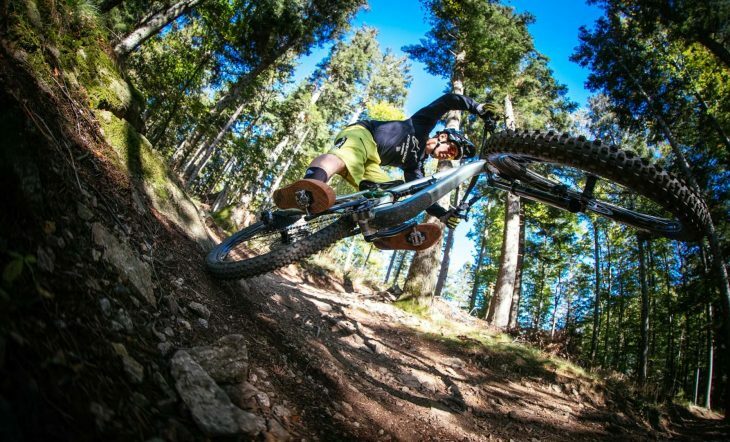 All models will come with Maxxis tyres, perhaps to show Cannondale’s trail-bike intentions. 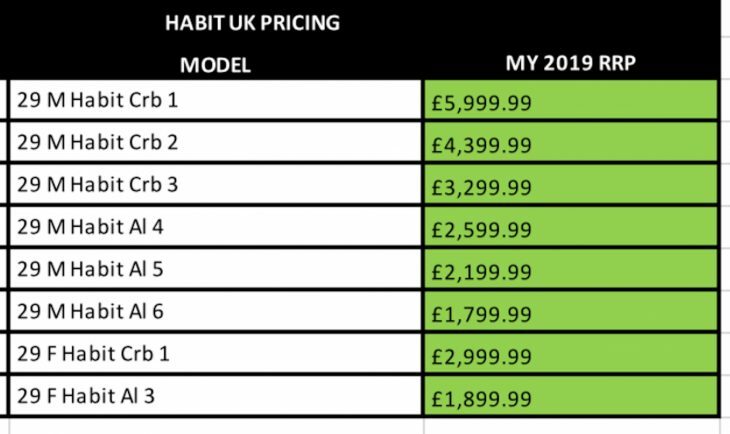 The top end full carbon Habit 1 will run at £5,999 with the cheapest full carbon model coming in at £3299 (actually the women’s carbon model is £2999, we’ll have to see what the differences are there). The alloy models start at £2,599 and the cheapest model, the Habit 6 is a pretty reasonable £1799. This looks to be the cheapest Al6 model. In which case, we like it even more. Dare we say it, but the alloy versions look way better than the full carbon jobs. The bikes are expected to start rolling into the UK in November/December time, depending on spec. 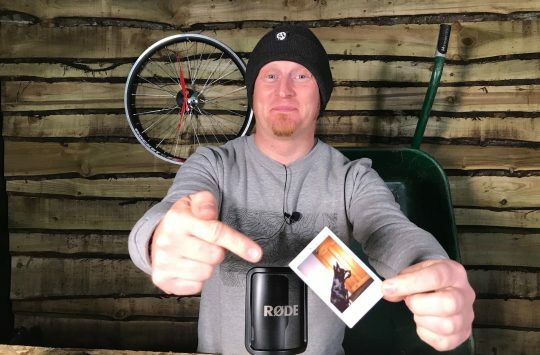 We’re keen to get a look at one for a decent test, but if you want to see Chipps’ first impressions, have a look at the story somewhere on the main page. That is a great picture of M. Clementz drifting.